Since I cut my hair, I&apos;ve been at a loss for different ways to style it, usually opting to either wear it down, in a messy bun on top of my head or a low ponytail. But I was happy to discover that braids aren&apos;t out of the question, even with my shorter length. 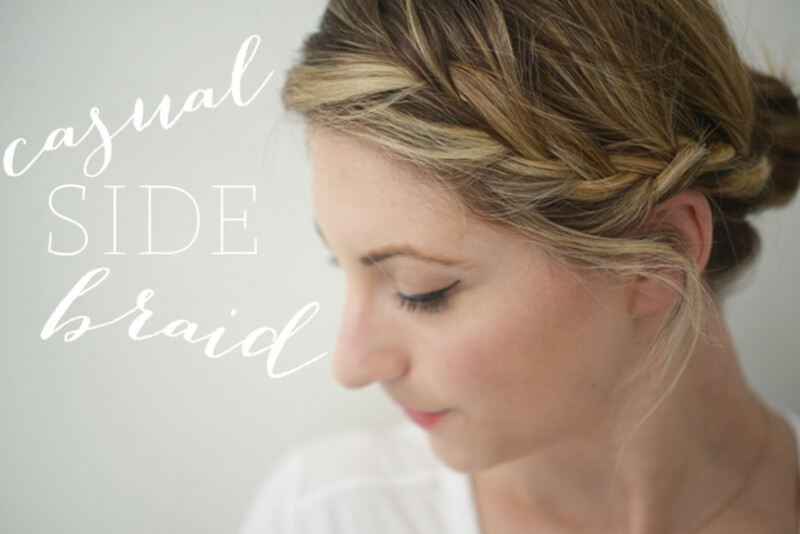 Lately I&apos;ve been doing a sort of messy side braid that&apos;s romantic, but unfussy and takes minutes to create (first seen here). Here are the steps. 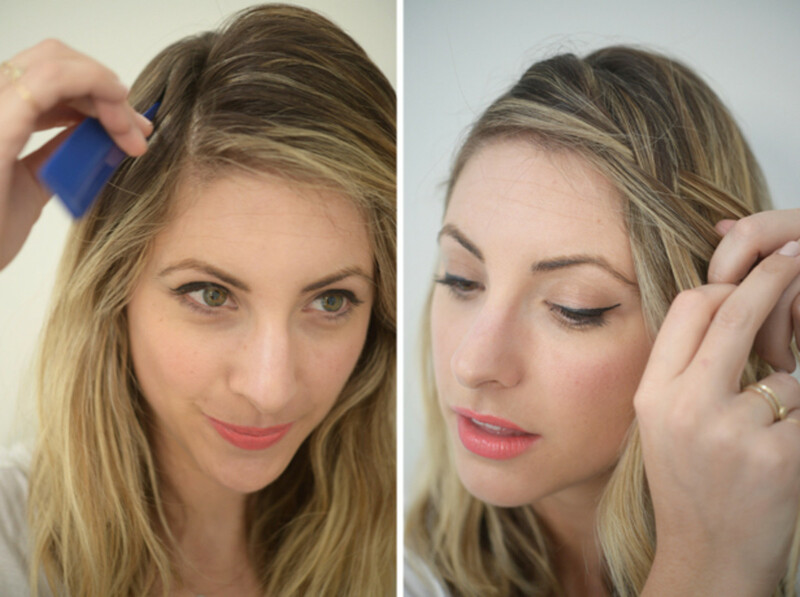 Step 1: Part hair to one side (directly above the arch of your eyebrow). 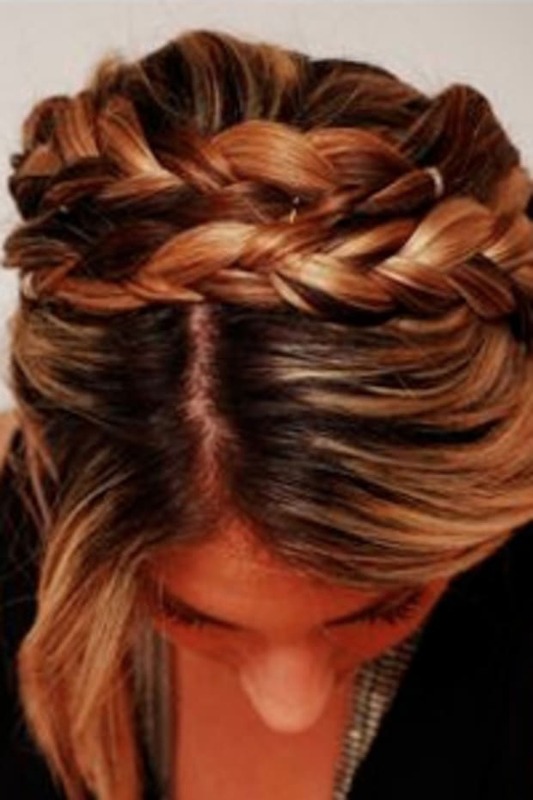 Step 2: Separate hair into three pieces and begin the french braid process across the top of your head. 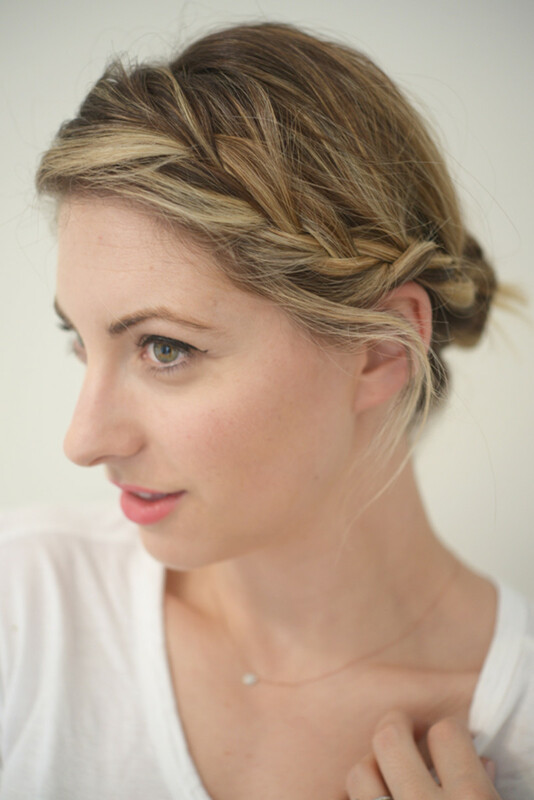 Step 3: Continue french braiding, incorporating more hair as you follow your hairline. 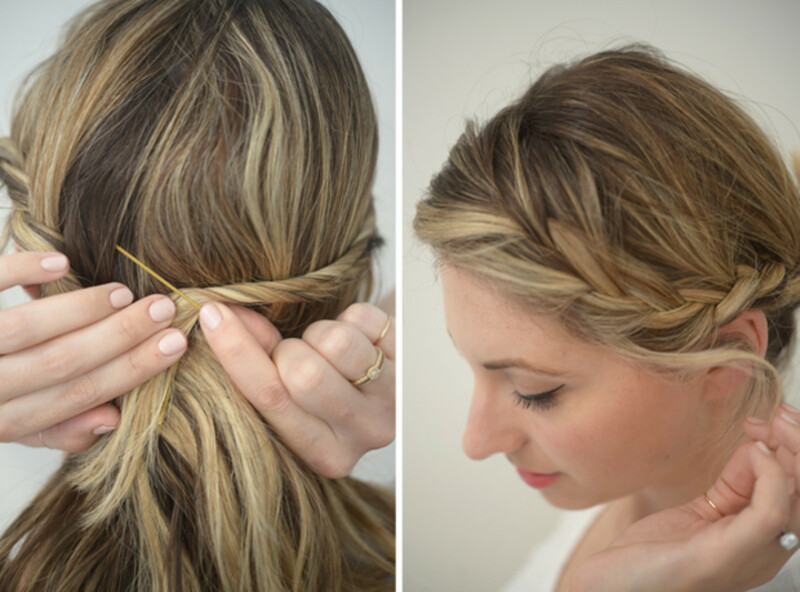 Step 4: Secure the braid directly in the back of your head with bobby pins. 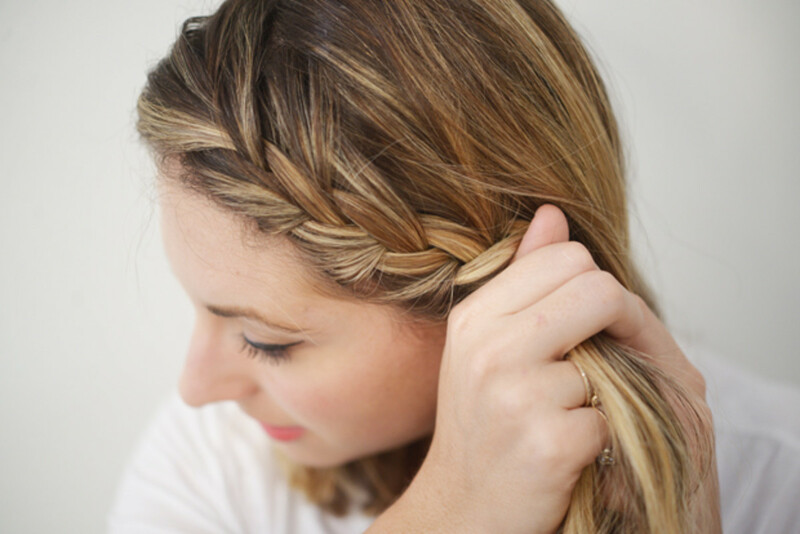 Step 5: Take two small pieces of hair on the opposite side of the braid and twist. 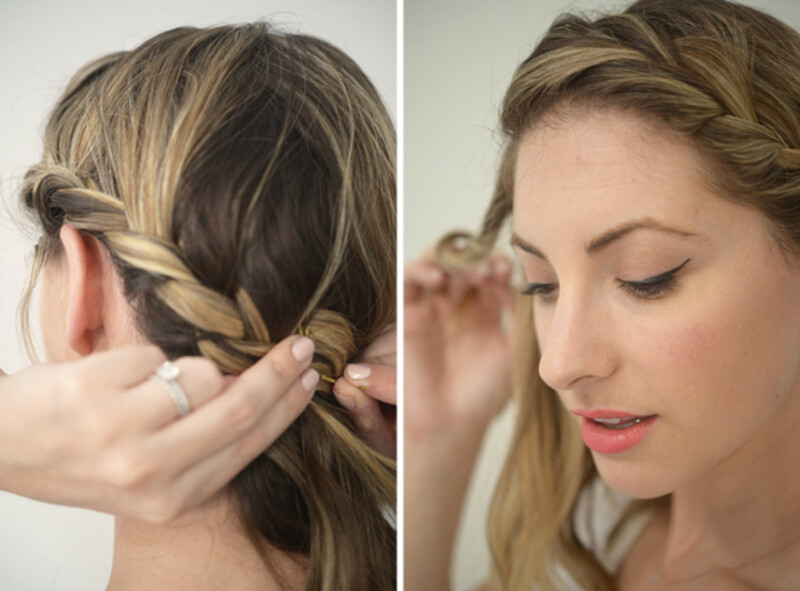 Step 6: Secure the twists directly above where you pinned the french braid. 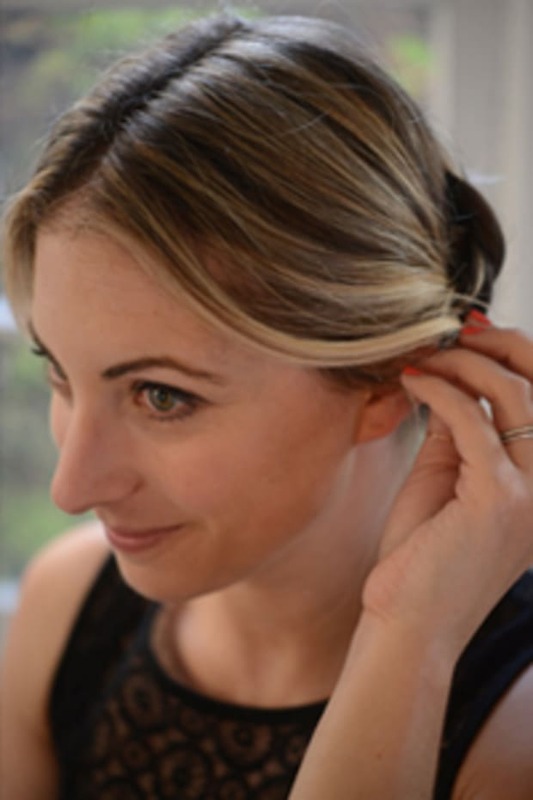 Then, create a simple low bun with the remaining hair, covering the bobby pins. Step 7: Finish by giving the braid a bit of volume and messing it up slightly by pulling out small sections of hair so the look isn&apos;t too perfect. P.S. Wearing the custom lipstick I made here.